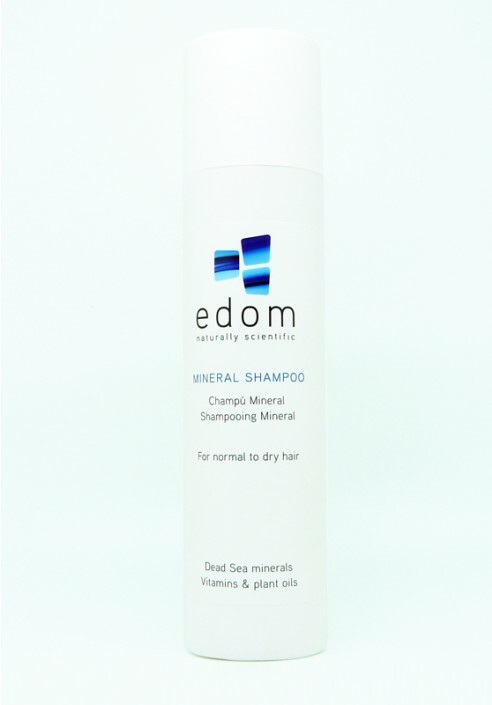 Edom Dead sea mineral shampoo leaves your hair silky clean and delightfully shiny with Dead Sea minerals. Edom Dead sea mineral shampoo leaves your hair silky clean and delightfully shiny with Dead Sea minerals.. The high concentration of Dead Sea minerals helps to prevent dandruff and reduces scaling while thoroughly cleansing the scalp. Edom shampoo leaves your hair silky clean and delightfully shiny. Suitable for normal to dry hair. Apply to wet hair, latherand rinse well. Repeat as necessary. 250 ml / 8.5 fl.oz.